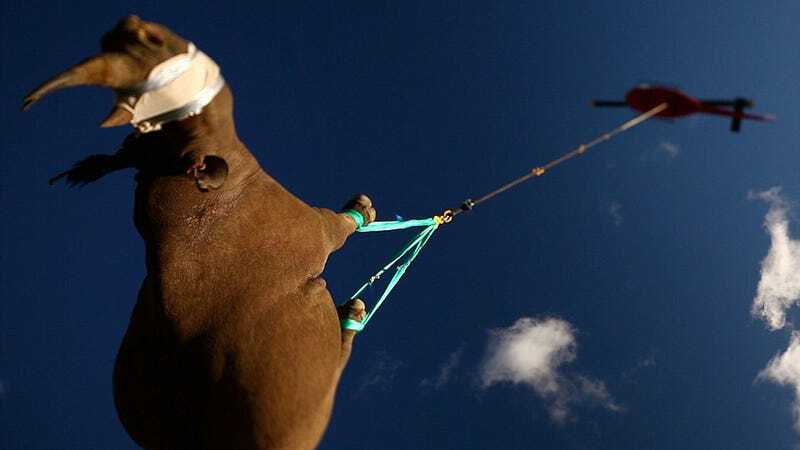 Why Is This 2-Ton Rhino Flying Upside Down? Don't worry. This rhino is alive and well. He's just sleeping while flying high over the South African landscape tied to a military helicopter. But why did he have to travel 15 miles flying upside down?